Kenwyn Retirement Home has become the latest casualty of Pietermaritzburg’s inner-city decay, and it is being sold because it is unable to fill more than half of its rooms. The home’s 29 remaining residents were informed that the building would be put up for sale, but the process is still in its early stages. 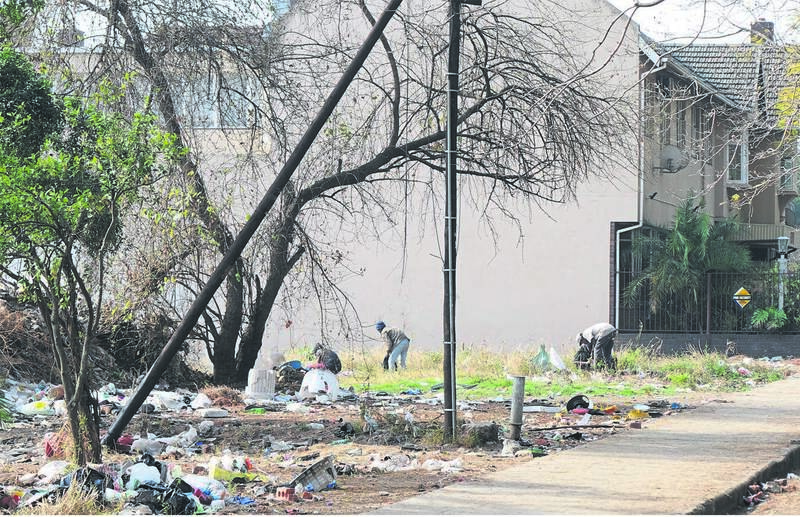 Kenwyn, in Pietermaritz Street, has in the last five years seen a dramatic drop in the number of residents because of the lack of safety in the area. The home falls under the Pietermaritzburg & District Council for the Care of the Aged (Padca). Its chairperson, Peter Miller, told The Witness that Kenwyn’s occupancy had also been affected by the murder of 92-year-old resident Patricia O’Connor in her room last July. O’Connor, a frail woman who weighed only 42 kg, was one of three elderly people killed at old age homes on Pietermaritz Street in a short space of time last year by Kershwin Goldstone, who has since been jailed. Miller said prospective residents were “turning away” because the home was in a “terrible area” spoiled by filth and crime. Vagrants loiter in the empty plot next to Kenwyn Retirement Home in Pietermaritz Street. The home is next to a large overgrown vacant plot, a part of Pietermaritz Street which is notorious for drug dealing. The Witness has previously reported on a large scale operation by police to catch offenders last year. Residents currently pay between R5 500 and R9 000 per month, and the home has 64 places in total. “We will start with the process [of selling now]. We weren’t going to start anything until we had taken residents into our confidence,” he said. Miller said residents will be assisted by Padca’s social workers in getting new accommodation, and they will be given preference should there be vacancies at other Padca facilities. “We are also working in close collaboration with sister organisations to look after them,” he said. Miller said Padca will even offer residents preferential access for frail care regardless of what home they move to. Kenwyn’s 10 staff members will either be absorbed back into Padca or be given severance packages. One resident of three years said they were worried that they will be unable to find alternate housing. “I had tried to phone up places to ask for vacancies but many places are fully booked. It’s terrible because we like it here,” the dejected resident said. Msunduzi was sent questions asking what it made of the reasons of the home’s closure, but did not respond.